Samsung has filed a petition in the U.S. District Court requesting that all alleged infringement against Apple’s pinch-to-zoom patent be tossed out immediately, while notifying the court of a “final” Office action by the United States Patent and Trademark Office (USPTO) rejecting all 21 claims of Apple’s pinch-to-zoom API patent U.S. Patent No. 7,844,915, reports FOSS Patents. According to CNET, a copy of the documents suggesting the same has also been obtained by MacWorld. The source points out that the pinch-to-zoom API patent is the most valuable multitouch software patent at issue in the first Apple vs Samsung litigation based on Apple’s damages claims. However, most of the damages in that case relate to design patents rather than software. 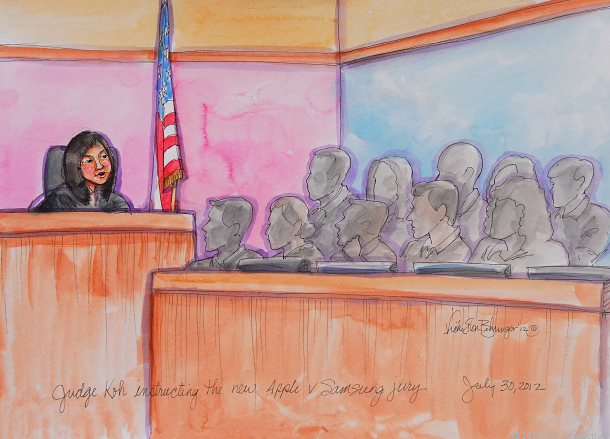 Furthermore, the patents at issue in the second Apple v. Samsung case in San Jose, scheduled to go to trial next spring, are considerably more valuable than the ones asserted in the first case. If the court agrees with Samsung’s latest filing, it’s quite likely that the company’s damages would be considerably reduced.